December is here, but with the hustle and bustle of everyday life, it can be overwhelming to know how to get you and your family into the holiday spirit. 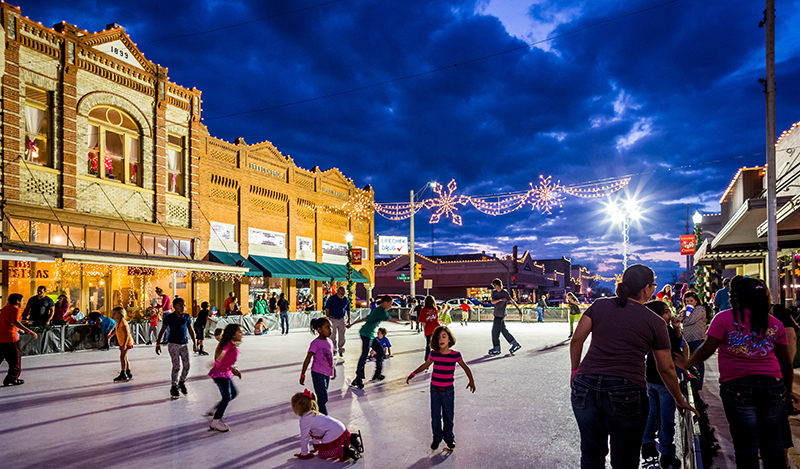 Fortunately, the Guadalupe Valley has no shortage of festive events to tap into to spread the cheer! When: Dec. 3 | 6-8p.m. When: Dec. 7 | 7p.m. When: Dec. 8 | 9a.m.-2p.m. • Character appearances: Santa Claus, Elsa, the Grinch, Rudolph, etc. When: Dec. 7 | 6-9p.m. When: Dec. 15 | 9-11a.m. When: Dec. 1 | 5:30-8:30 p.m. When: Now- Dec. 31 | Noon-9p.m. When: Dec. 1 | 1-5p.m. When: Dec. 18 & 19 | 5:30p.m. When: Dec. 6 | 5-8p.m. Where: 100 block of East Main St. Holidays are a wonderful time of year to create memories and traditions with your family and loved ones. We hope you find an event here that brings you together with those who matter most. Merry Christmas, from the GVEC family!